Early on in the life of this blog I wrote a couple of posts referencing George Kennan, the American diplomat and scholar who played a seminal role in the evolution of American foreign policy in the years following the close of the Second World War. Kennan’s “Long Telegram,” for example, is generally considered to be the ur-text of containment, even if Kennan later disavowed its application. Kennan’s influence later permeated the State Department under George C. Marshall. After the Truman administration, Kennan would serve from time to time in an advisory capacity but largely as an outsider — a status he keenly felt. Perhaps I may be forgiven for a certain nostalgic and perhaps romanticized longing for a foreign policy team that featured George C. Marshall and Dean Acheson along with George Kennan. Acheson, Kennan, and four other contemporaries feature in Walter Isaacson and Evan Thomas’ The Wise Men: Six Friends and the World They Made. And Kennan is the subject of a new biography by John Lewis Gaddis, dean of Cold War studies, titled George F. Kennan: An American Life. “Still, buried within Kennan’s realism there is a moral view: that in relations of power, which is what he thought international relations ultimately are, people can’t be trusted to do the right thing. They will do what the scorpion does to the frog—not because they choose to but because it’s their nature. They can’t help it. This is an easy doctrine to apply to other nations, as it is to apply to other people, since we can always see how professions of benevolence might be masks for self-interest. It’s a harder doctrine to apply to ourselves. And that was, all his life, Kennan’s great, overriding point. We need to be realists because we cannot trust ourselves to be moralists. It is too easy to idealize historical figures after the more jagged edges of their performance on history’s stage have been smoothed over by the passage of time. But I cannot help but think that Kennan — and Acheson and Marshall — represented a seriousness that at times seems to be wholly absent from the present political scene. 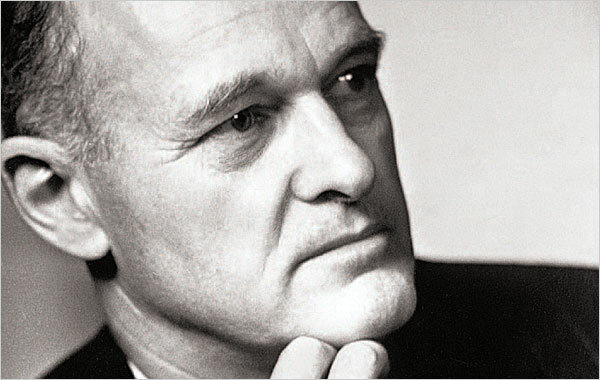 Kennan had his contradictions and, being human, he was not without flaws and blind spots. And yet, we might safely conclude that he was no fool, and that, regrettably, seems to be more than we can say as we survey the population of our present political landscape. We are in the thrall of great frivolity and there is a disheartening lack of seriousness to our political discourse. And little wonder, we seem long ago to have lost the patience for intellectual rigor and nuance. That a diplomat would undertake the biography of a foreign literary figure is likely to strike us as a waste of resources. The realities of lived, concrete experience demand a certain provisionality and openness, anchored by deep learning, that issues in practical wisdom. This wisdom coupled with moral courage is what the times demand. And, if I may be pardoned a moment of unseemly cynicism, it is precisely this package of virtues that our political discourse seems to forbid by the logic of the media ecosystem in which it plays out. In this environment our political options have calcified into grotesque parodies of themselves and it is at times hard to be hopeful. The principle that “peoples tend, over the long run, to get the kind of government they deserve” may not always be a fair historical assessment, but if there is even a grain of truth to it, as I suspect there is, then this does not bode well for us.